It’ll apparently cost us £20m to sign Barcelona’s Marc Andre ter Stegen, according to multiple reports, including this one in the Mirror. The article claims that Barcelona are happy to cash in on the keeper they paid £12m for in 2014, due to the fact they see Barcelona B’s no.1 Jordi Masip as a good enough backup for Claudio Bravo – who’s been exceptional since he arrived at the club at the same time as the younger German – who ironically was touted as first-choice only for the Chilean to oust him. Best possible Bosman XI – Ibra, Banega, Ben Arfa & more – Any Liverpool options?! Liverpool have been linked with a plethora of keepers since Jurgen Klopp arrived at Anfield, but importantly the manager has repeated time and time again that he backs Simon Mignolet and isn’t after a replacement. “Other people in the club will announce things like this,” the German boss told the Echo a few years back. “I’ve not got anything on this at the moment if nobody has said anything. “I’m really satisfied with Simon. I can only say this and some of you the next day will write about 500 goalkeepers across the world who we’re supposed to be interested in. “I’m fine with our goalies and I really trust in John Achterberg because he does a brilliant job here,” Klopp added. “He’s one of the hardest-working people I’ve ever met, he works as a coach 25 hours a day. It’s obvious that Klopp won’t buy a new first-choice keeper this January, unless he’s playing some bizarre mind-games with Mignolet and the press. 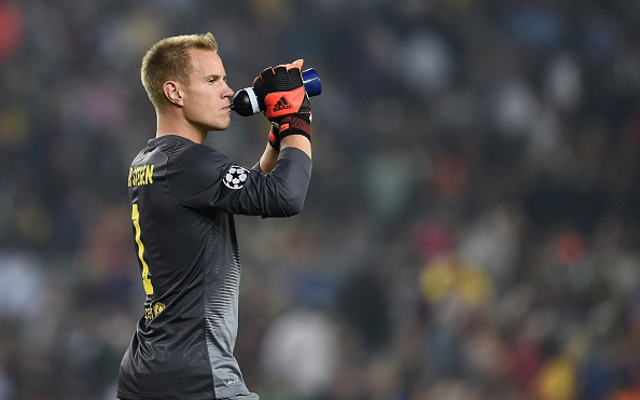 It’s good that he trusts our 28-year-old, but in reality – ter Stegen would undeniably be an upgrade – even if that price-tag would make him one of the most expensive stoppers of all time. If Klopp doesn’t target a keeper, he might be focussing his attention elsewhere. The defeat to West Ham has highlighted some deficiencies all over the team, and the boss could attempt to deal with these in January.